There are some areas of my house that I try really hard to keep clean and organized but my kitchen counter is not one of those areas. I figure that if I’ve washed the dishes and wiped down the counter than it is clean enough and I can move on to other things. Sadly this is how my “clean” counter looks most days. I have very little counter space and I am always frustrated that there is not enough room to work. I frequently balance baking sheets across my sink or cutting boards on top of the stove when I need a few more inches. Today I decided that enough was enough and it was time to de-clutter my counter! Here are the five things I got rid of. 1. 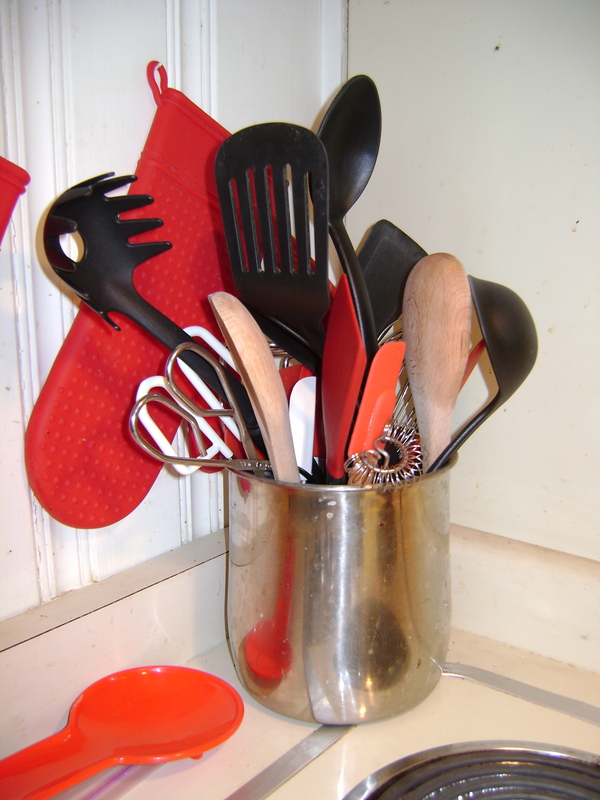 Extra utensils – This canister was overflowing with kitchen utensils and it was always a pain to pull things out and jam them back in. I purged the duplicate utensils and the items I never use. 2. 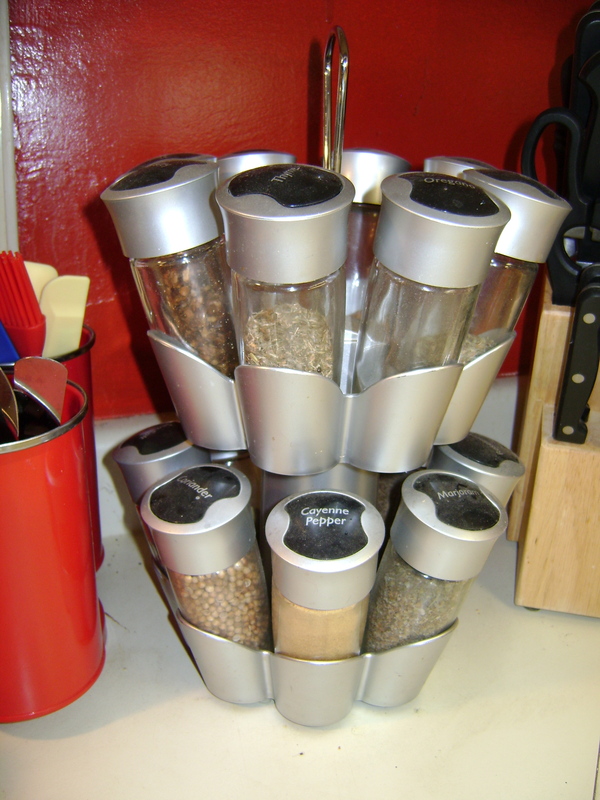 Spice rack – We received this spice rack as a wedding gift and I don’t know why I’ve held onto it for so many years. I never did use half the spices that were on this rack. Since I have lots more spices in up the cabinet it makes sense to keep only the ones I’ll use and store them all together. Plus this rack is very tedious to clean. 3. 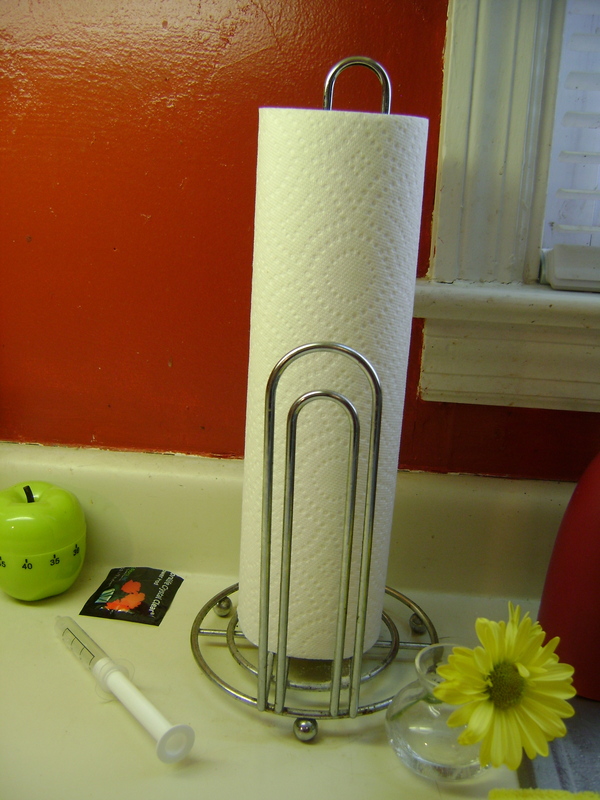 Paper towels – We really don’t use paper towels very often. I only use them to clean up nasty stuff like raw meat and raw egg with bleach or to pat down greasy foods. So I put the paper towels away with the other cleaning supplies. 4. 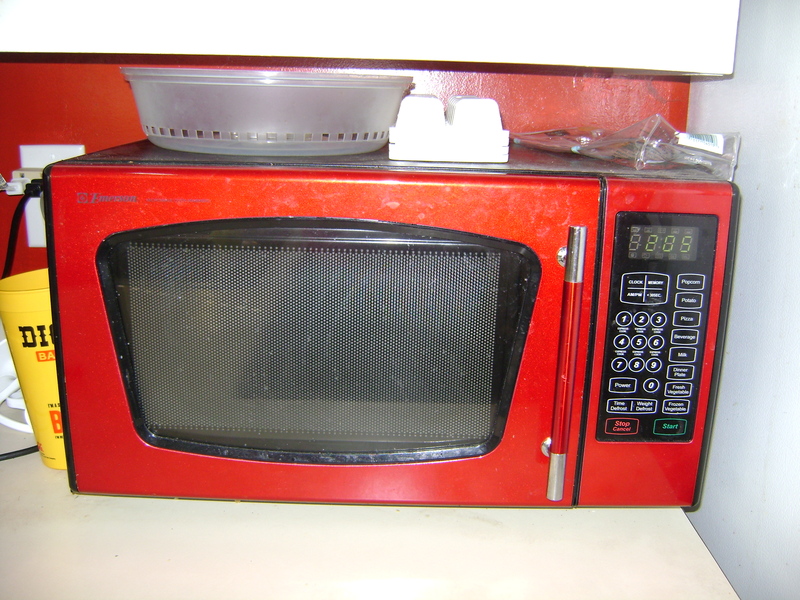 Microwave – We usually used the microwave to heat up leftovers but that can be done with our stovetop and oven. 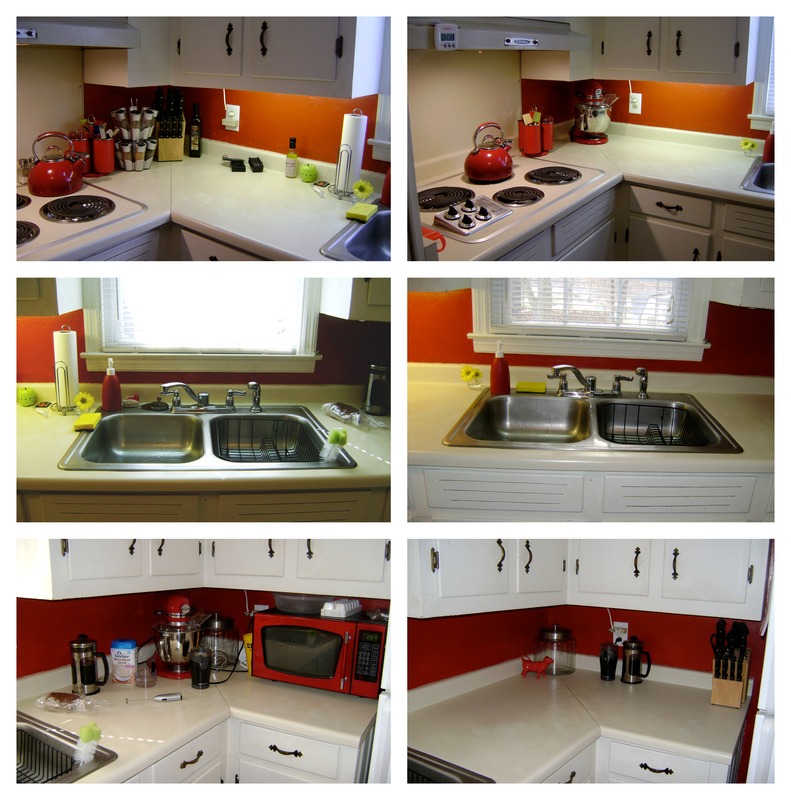 By getting rid of the monstrous thing I freed up LOTS of space on my counter! Besides, cooking food with radiation doesn’t seem to be the healthiest way to go about it. 5. 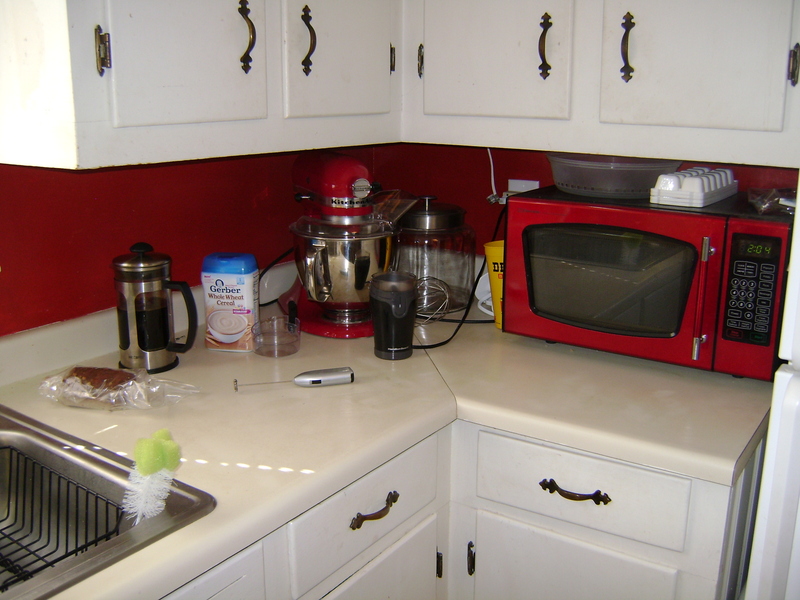 Random clutter – There are always things on the counter that need to be put away so today I took the time to put things back where they really belong. Let’s do a little before and after, shall we. 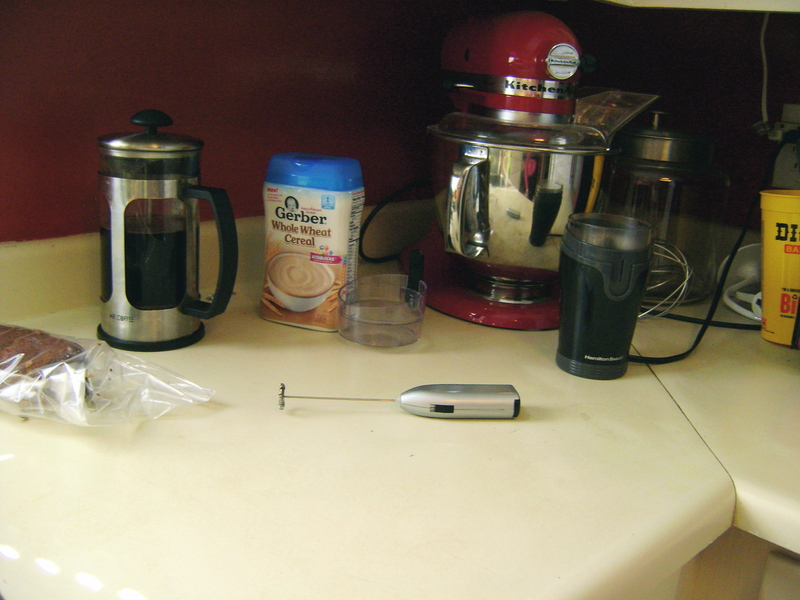 Ahhh….it is so nice to have the counter cleared off! Now I’m motivated to clean out my kitchen cabinets. I know there are plenty more things I can get rid of. So how about you? 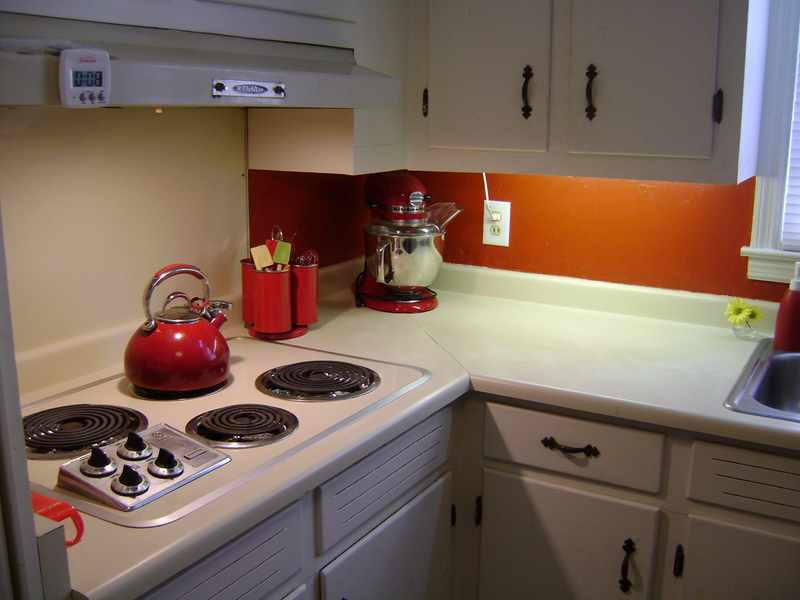 Do you have a trouble zone in your home that always seems to be messy? What items have you purged to free up more space? It’s so great how “simplicity” can make a huge impact. I love it… and I love your kitchen…lol. Enjoy! Thanks! I smile each time I walk into the room now. You’re welcome! I can’t believe how much more room I have now.